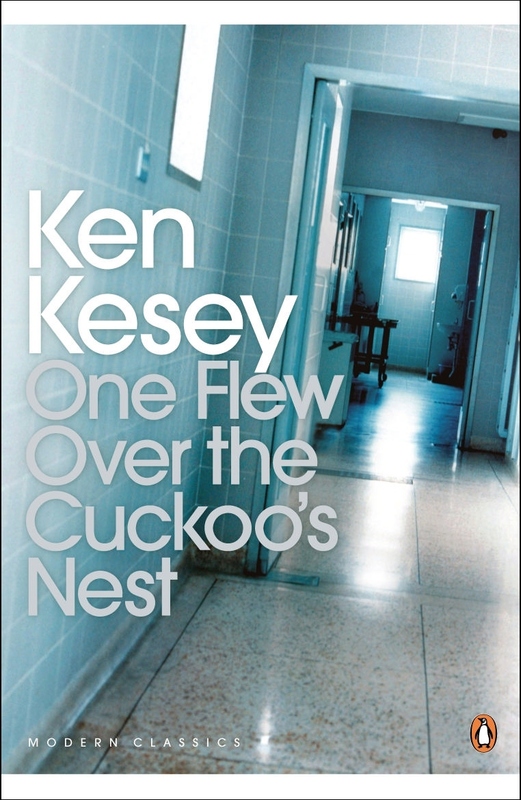 One Flew Over the Cuckoo’s Nest is an absolute cracker of a novel; a true work of art – although had you told me so at any point during the first thirty-odd pages, I wouldn’t have believed it. As was also the case with Mrs Dalloway, it took me a wee while to get into One Flew Over the Cuckoo’s Nest, to understand why it is regarded as a modern classic. And now, with the benefit of hindsight, I suspect my initial lack of appreciation had more to do with my mindset at the time than with the book itself. One Flew Over the Cuckoo’s Nest is set on the psychiatric ward of a hospital in the US state of Oregon during the early 1960s. It is narrated by “Chief” Bromden, an exceptionally tall, half-American Red Indian patient, whom the staff believe to be deaf and mute. The novel is filled with his “crazy” observations on the ward and its inmates, which are divided into two distinct groups: the ‘Acutes’ (believed to be treatable) and the ‘Chronics’ (deemed to be beyond help). The story doesn’t really get going until Randle McMurphy arrives on the ward. He is transferred to the hospital from a prison, and immediately upon his arrival locks horns with the head nurse, Nurse Ratched, a crotchety old megalomanic who has run the ward unopposed for decades. The way he manages, time and time again, to get the better of her is downright hilarious. Kesey’s narrative in One Flew Over the Cuckoo’s Nest is astounding, and I stand in awe of his turn of phrase. Through the musings of “Chief” Bromden and his interactions with the other patients, the reader gets to see the world of a ‘mental’ patient from a slightly different perspective, as well as learn about some of the horrors of early psychotherapeutic treatment. I can’t wait to see the movie version, which stars Jack Nicholson and Danny DeVito, and was realised in 1975. I did, however, make the mistake of looking up the actors who played the characters in the film adaptation while I was still reading the book, and from that moment on I couldn’t help but visualise Nicholson in the role of McMurphy–in the book the character is a burly red head (i.e. nothing like Nicholson). Read One Flew Over the Cuckoo’s Nest. You won’t regret it! UPDATE ON MY NOVEL: I have hit the 32,000-word mark on my second draft! Only 18,000 words to go.